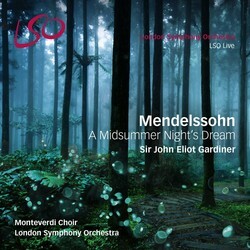 Continuing his award-winning cycle of works by Felix Mendelssohn, Sir John Eliot Gardiner leads the LSO, his Monteverdi Choir and three talented young actors from the Guildhall in a landmark performance of 'A Midsummer Night’s Dream', which was performed as part of the 400th anniversary of Shakespeare’s death. To mark the celebrations, Gardiner produced a special version of the work featuring some cuts to the original movements that, in his words, "remove all of the music relating to the Mechanicals and thus focus on the world of the fairies and the human lovers". 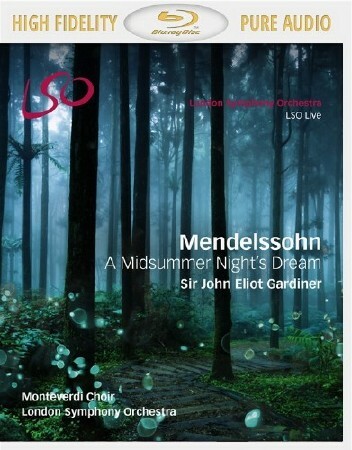 Mendelssohn, who adored Shakespeare’s writings, composed his concert overture based on 'A Midsummer Night’s Dream' in 1827 aged 17, after having read a German translation of the play. The overture was immediately acclaimed as a masterpiece and quickly became a popular favourite throughout Europe. Years later in 1843 he was asked by the King of Prussia to provide a score for an entire production: 14 short works based on themes and moods from the original overture, with a broadly romantic sound although classical in style and structure. 3 Prologue (Narration) "Ay me! For aught that I could ever read"